I’ve got a mountain of bookkeeping to catch up on (there’s another lesson I keep having to relearn: if I did it as I went along I wouldn’t have these soul-killing marathon bookkeeping sessions to suffer through…), which means that I got exactly ZERO quilting done yesterday (plus I had to go shopping, didn’t I just feed everyone yesterday? 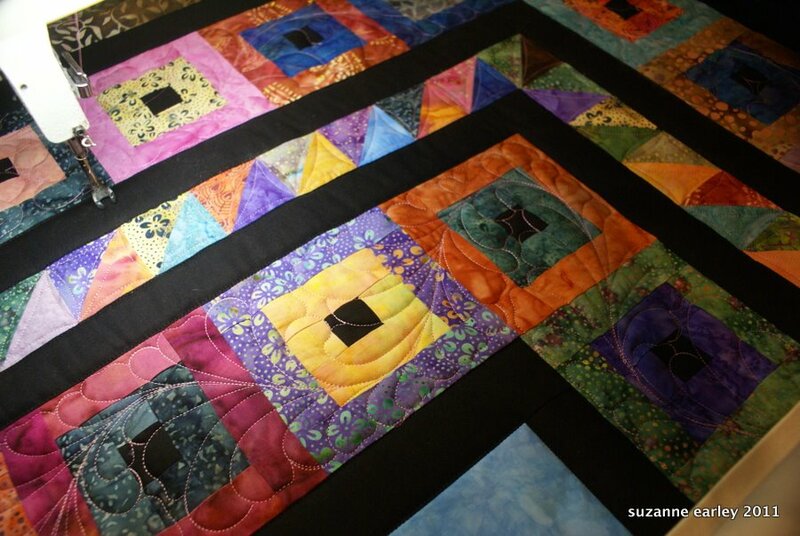 ), but today I got a little more done on my quilt. I have the outer border and the center section left to go. For the record, the knitting I did was LATE last night, I was up until midnight, and I suppose I could have quilted instead, but I decided it would be fun to surprise Mark with his hat — I had told him it wasn’t going to happen (see above, many things to do yesterday…). Today was another busy day and included a Lego League practice. I know, I know. We were done with that before Christmas. Except, oops, we weren’t: we got randomly selected to be a wild card entry at the state competition in Ames on the 15th of January. Unfortunately, we found this out two days AFTER we took the robot apart, but luckily my boys were able to put it back together over the break. At least that means we’ll get to wear those crazy orange hats I made one more time. And then we really will be done. And with any luck I’ll be done with this quilt I’ve been teasing you with tomorrow, and will be able to show it off in all it’s glory!